Well, this past weekend I received some very difficult news, and my world has been turned upside down a bit. I'm actually going to take a week or two off from blogging; I really need to focus on myself and my family for the time being. But I am hoping that inspiration still strikes during that time period; in which case, I might stop by here for a quick picture or two. In spite of everything going on in our lives, Adam, Bug, and I rallied together and had a lovely day yesterday. After six years of living in New York City, we finally - finally! - went on the Staten Island Ferry. And we decided to take the trip for no particular reason...we had never done it before and the weather is incredible...what better reason is that? Then I came home and made a very simple dinner: sauteed Chanterelle mushrooms, a salad, and some cheese and bread. It took me all of 15 minutes to make and it was incredibly satisfying and grounding. The cheese is incredible. 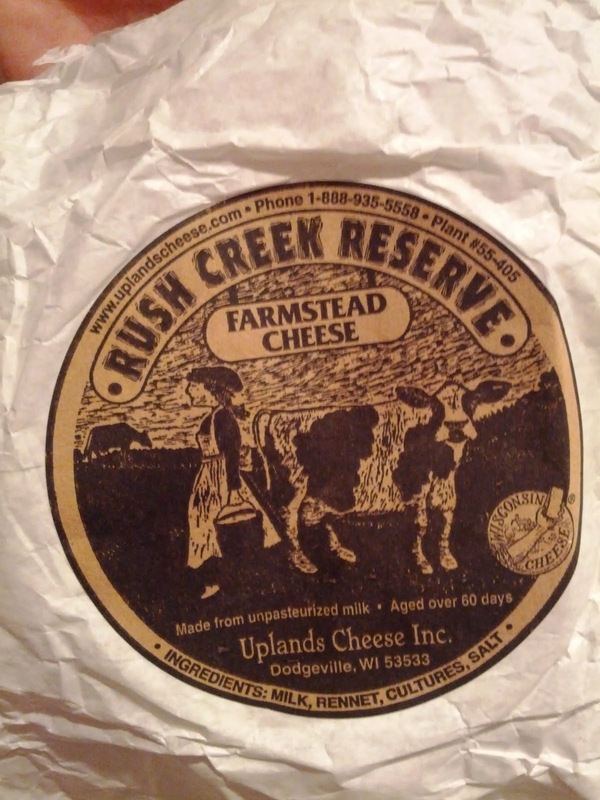 It's called Rush Creek Reserve Farmstead Cheese from Wisconsin's Uplands Cheese. I got it at Murray's Cheese - it was recommended by the staff person there as a better alternative, both in cost and flavor, to Vacherin. Even then, the wheel above cost a whopping, painful $30! BUT we've been eating it for more than a week. It's so rich and creamy that we really are eating it in extreme moderation. And worth the splurge - it tastes incredible. For the salad, I tossed together spinach, toasted walnuts (sorry, Marjorie! 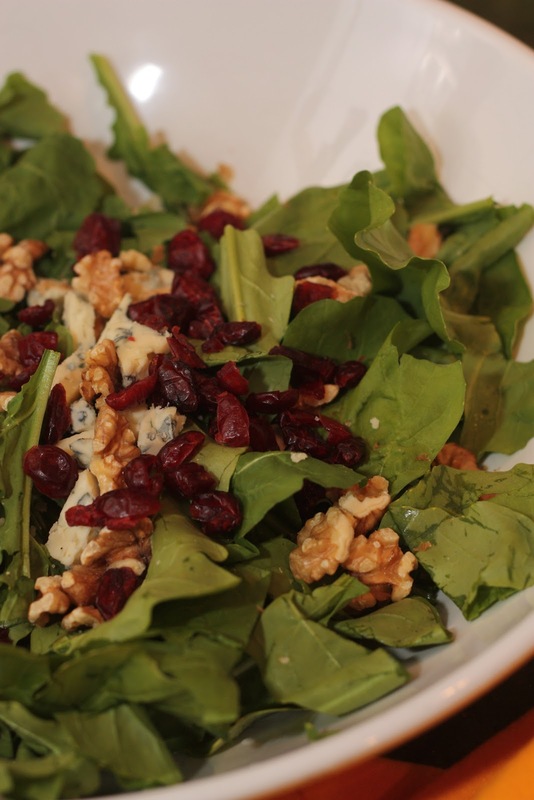 But I think it would taste just as good with pecans, if that's a possibility for you), dried cranberries, and blue cheese. I made a light dressing of olive oil, lemon juice, kosher salt, and pepper. The Chanterelles were so good; these mushrooms are so delicately flavorful that the simplest preparation will do: splash of olive oil, tablespoon or so of butter, kosher salt, and pepper. Saute until just cooked through but not completely soft. I poured a glass of Prosecco and the whole thing was just heartwarming and refreshing. I'll be back soon, I promise. You know I can't stay away long. Oh no, so sorry to hear this. Hope everything will get better soon.